A collaboration between Community Veterinary Outreach (CVO), the Guelph Humane Society (GHS), Guelph-Wellington Women in Crisis (WiC) and other local vets and animal welfare organizations. Pets in Transition is a collaboration between Community Veterinary Outreach (CVO), the Guelph Humane Society (GHS), Guelph-Wellington Women in Crisis (WiC) and other local vets and animal welfare organizations. 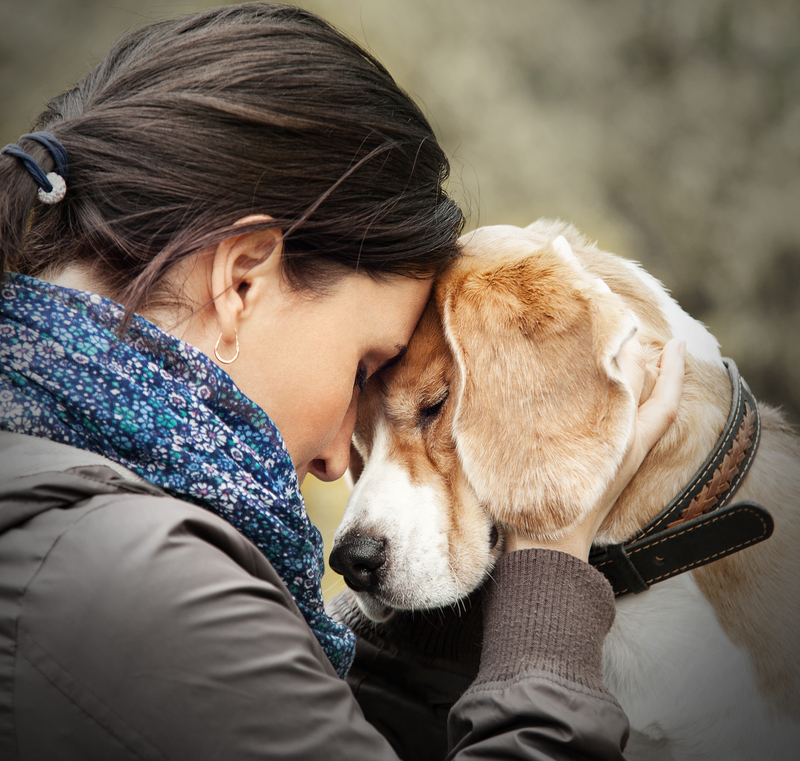 We support women who have animals and are experiencing violence by offering pet safety planning, resources and referrals and temporary emergency foster placement and care for the pets of women seeking shelter from domestic violence. All of our services are free of charge. Women who have pets and experience violence often have pets who experience violence, too. Domestic violence and animal abuse are so closely connected that psychologists and front-line workers in human and animal services see animal abuse as a predictor and indicator of other kinds of violence in the home. Abusers target animals to coerce their partners into doing what the abuser wants, to control, intimidate or punish family members and to stop family members from speaking out about the abuse and getting help. In many cases this creates a barrier for women seeking help. Most domestic violence shelters can’t accommodate pets and many women who experience abuse are isolated from family and friends, so women who want to leave abuse often face a hard choice between staying in a violent home to protect their pets or leaving their animals behind. Pets in Transition offers extended, confidential foster care for pets so women can transition to violence free lives. Anyone who is experiencing violence or knows someone who is experiencing violence is welcome to the information and general resources we provide. To access foster-based care for pet(s), women must be residents of Marianne’s Place. Large and small animals are eligible. What if someone needs help but isn’t ready to leave their abuser yet? Pets in Transition offers resources and support around pet safety planning, finding options for pet care, leaving pets with friends or family members, preventative health care for pets and more. How does someone get their pet into foster care? Women who are or will be residents of Marianne’s Place can access the program through Marianne’s Place staff. Staff will help clients complete the intake forms and liaise with the Guelph Humane Society, which finds the best possible foster match for the animal(s) from a pool of caregivers with specialized training in caring for animals who may have experienced or witnessed violence. For safety and confidentiality reasons, all information about clients is kept with Women in Crisis and there is no direct contact between clients and the Guelph Humane Society. Foster caregivers also remain anonymous. Do pets have to be up to date on their shots? No. Community Veterinary Outreach vets will provide an exam and any necessary preventative care, including shots, when a pet comes into the program. How long can pets stay in foster care? Clients may provide any pet food or supplies that they wish. If a client doesn’t have food or supplies, we will provide them. If a pet is on any medications or supplements, we ask clients to please send them along. Can someone visit their pet(s)? We are currently working on finding a safe site for visitations and hope to make scheduled visitations possible soon. What happens at the end of the foster period? When a client leaves the program, Marianne’s Place staff liaise with the Guelph Humane Society, which coordinates with foster caregivers to return pets within 48 hours so they can be reunited with their owners. Women who would like more information or who wish to access the program can call the Guelph-Wellington Women in Crisis 24-Hour Crisis Line: 519-836-5710 or 1-800-265-7233. If you think you could open your home to a pet for 10-12 weeks, please contact the Guelph Humane Society. You’ll be asked to attend special training on caring for animals who may have come out of violent homes. Ongoing support and supplies are provided. Contact foster@guelphhumane.ca for more information. This program couldn’t happen without support from the community. Pets in Transition is grateful for monetary contributions. Those interested in contributing to this program by making a donation can contact the Guelph Humane Society at 519-824-3091 or click the button below and put “Pets in Transition” in the comments section.